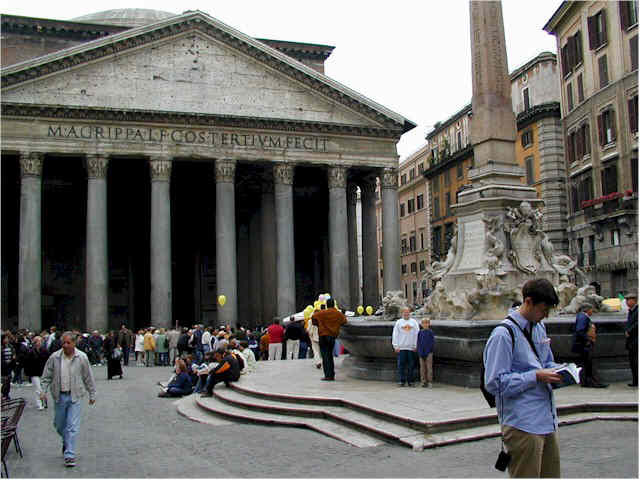 We started our walking tour through the antiquities from our hotel near the Pantheon. 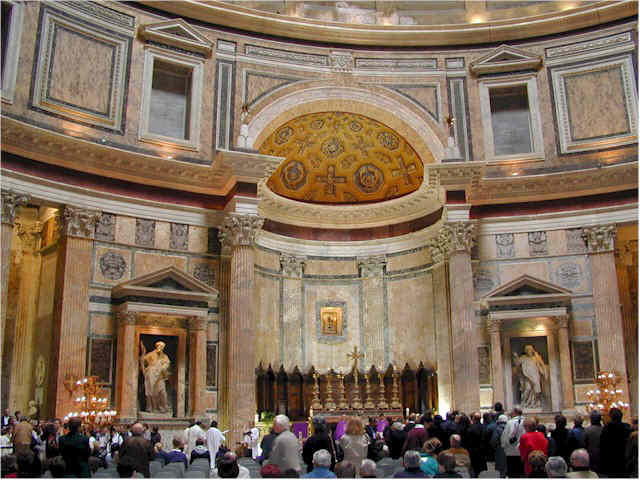 The Pantheon is a remarkably well preserved structure considering it is 2000 years old. 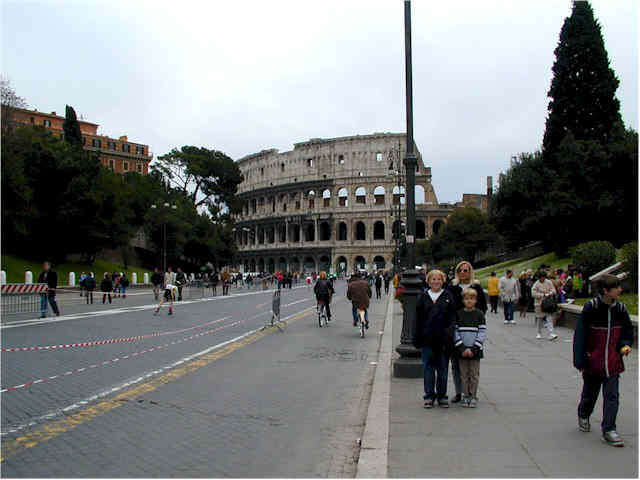 We walked down to the main Piazza on the way toward the Roman Forum. The front of the building is bright white and makes an impressive background. There was a carnival underway the day we were there and the streets were blocked off from all traffic. 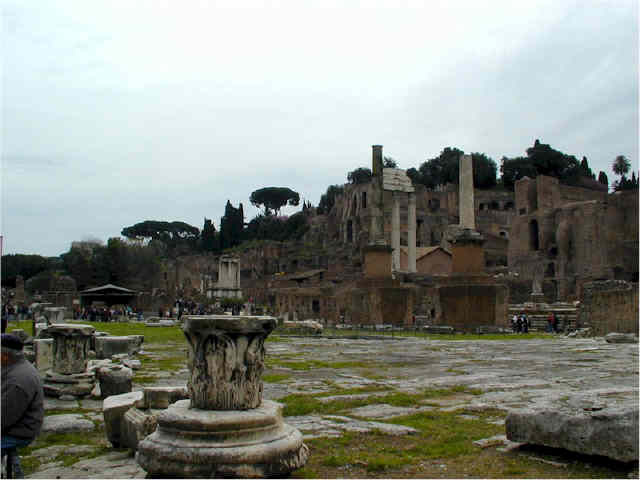 Walking through the Roman Forum, it is difficult to picture the buildings and streets as they were without the help of a book called "Past and Present", which is sold everywhere. 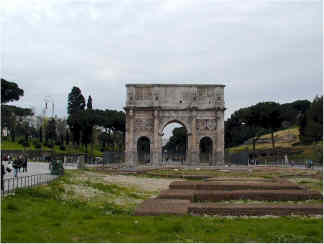 Proceeding toward the Coliseum, Constantine's Arch is preserved in excellent shape. 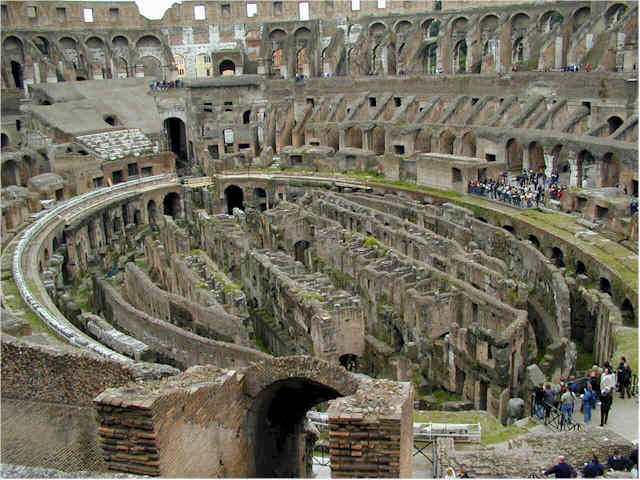 The Coliseum is in somewhat worse shape, but is impressive in sheer size as you approach it. The view from the outside is interesting, but the view inside is well worth waiting in line for the tickets. In the afternoon we walked a few blocks from our hotel to Piazza Navona, where street entertainers gather. 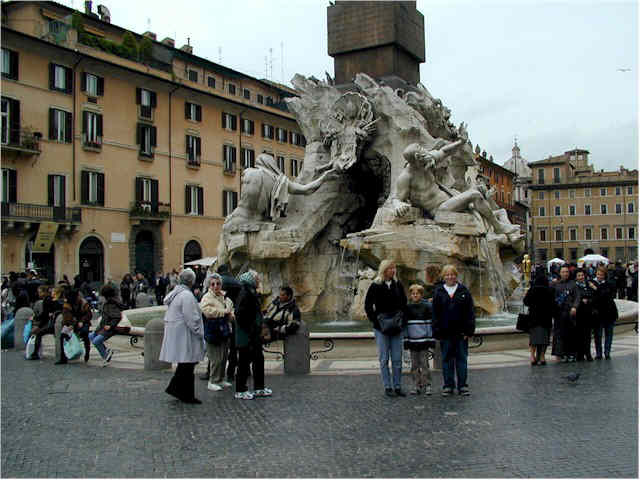 Two famous fountains are in the Piazza along with several restaurants and gelato bars. 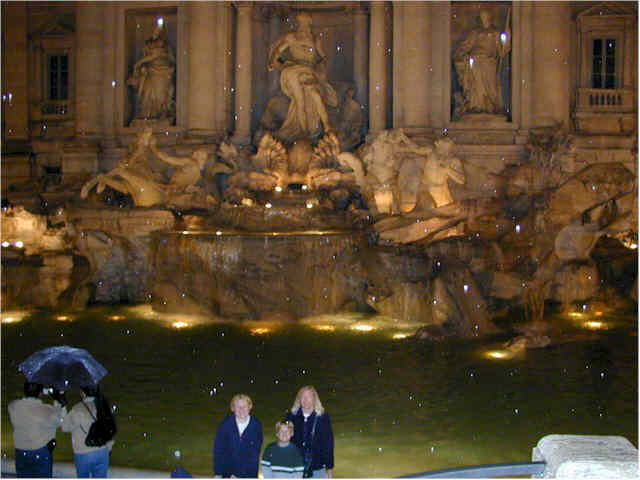 In the evening we walked to dinner past the Trevi Fountain, famous for making wishes come true. 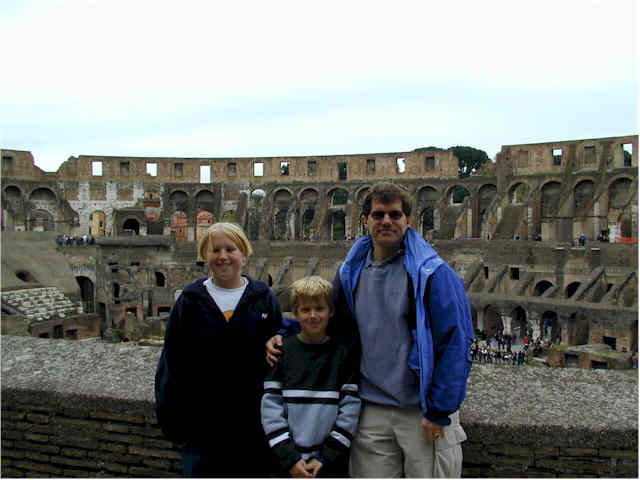 That was the end of our first day in Rome and the walking tour of the antiquities.